Someone interested in gardens and gardening would have found it difficult to avoid the television obsession with garden makeover programmes. As a starting point the garden team sends a family away for a couple of weeks. The garden is then blitzed, for instance hauling giant concrete pipes over the top of the house by crane, creating a garden bar with music and coloured mood lighting and planting up with some over-sized bamboo. I watched a couple of these programmes with the secret malevolent wish that the owners would come back burst into tears and scream ‘You’ve screwed it up big time. I know my garden wasn’t much with its pile of rotting junk in the corner, uncut grass and dismal borders, but it had potential!’ Although this never happened to them or me, I confess that when I first qualified as a garden designer I foisted some inappropriate solutions on over-trusting clients, rather than let the sense of place speak to me. I think it is unfashionable to talk about a sense of place. I find it to be a hugely important and thoughtful process stripping away those stale uninteresting layers, finding the soul of the garden (the genius), and building back something subtle and complex. I know this sounds esoteric, but the excitement is that you are never quite sure where the creative process is going to lead you. 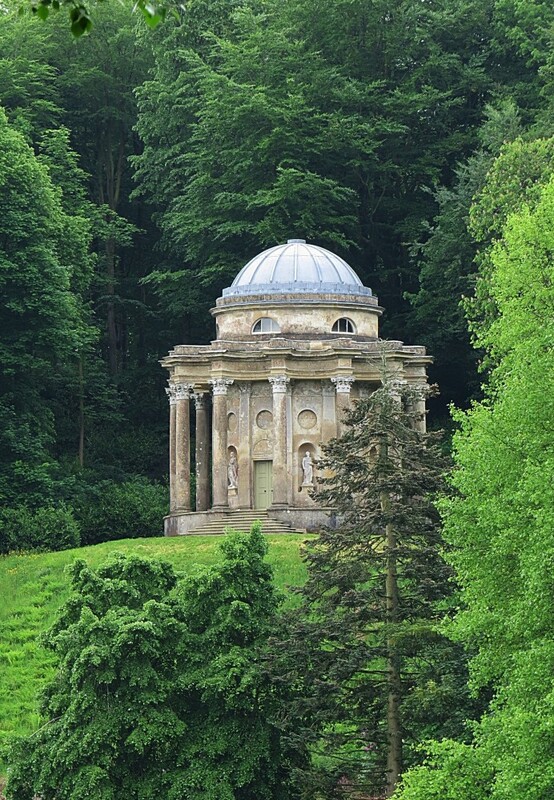 In the early 18th century there was an almost mystical belief in the ‘genius of the place’ and this created many of our greatest gardens of which Stourhead has become the most iconic. That tantalising view over the Palladian bridge and the lake to the Pantheon has launched a thousand calendars. The garden at Stourhead was laid out from the 1740s for Henry Hoare, the third generation of a wealthy banking dynasty. The first stroke of genius was not to build the garden around the newly completed Palladian mansion, but to set it some distance to the west, where the land falls steeply away and where two valleys converge. Here the river was dammed, and around a spectacular lake Hoare commissioned Henry Flitcroft, a protégé of Lord Burlington, to build three magnificent temples, the Pantheon, the Baroque Temple of Apollo and diminutive Temple of Flora. 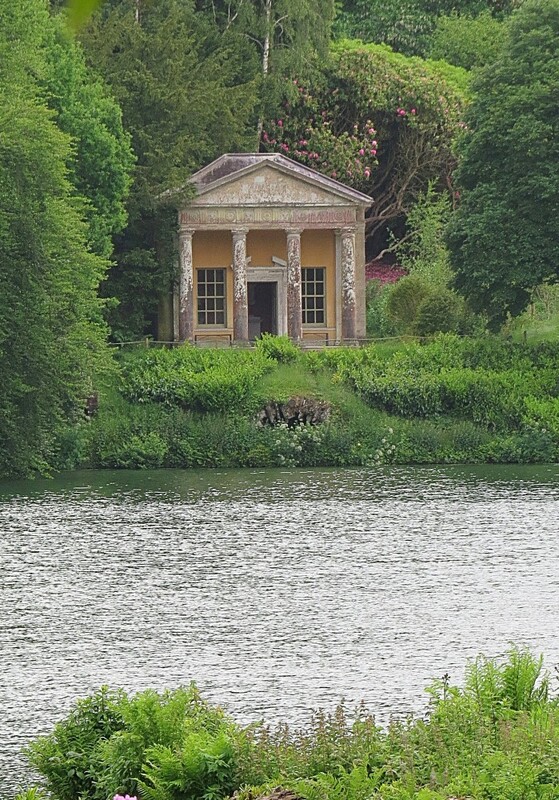 For me, Stourhead’s success as a garden lies in the way its painterly views successively reveal and hide the main garden features, and in the anticipation this creates. Little was left to chance, for instance Hoare noted that ‘the greens should be ranged together in large masses as the shades are in a painting.’ In fact, Henry Hoare owned a painting by the great French landscape painter Claude Lorrain, who had such a profound influence upon the development of the English Landscape Garden. 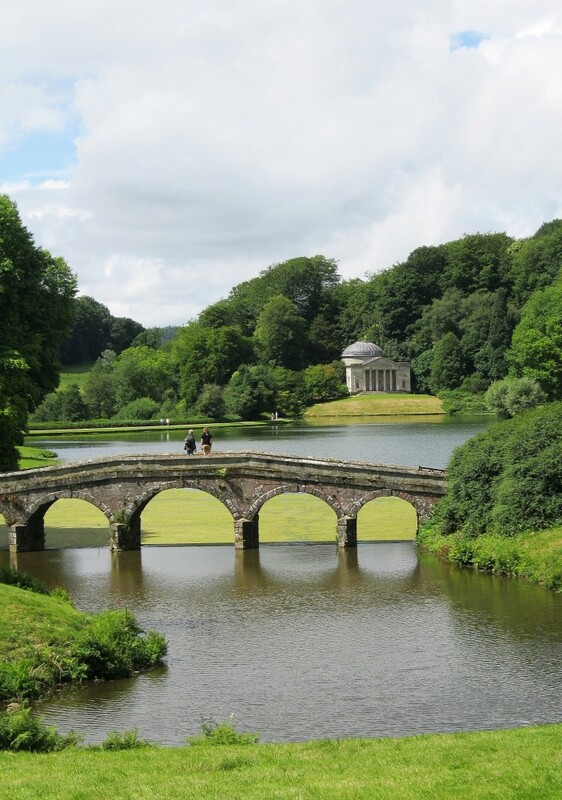 Stourhead’s iconic view over the lake to the Pantheon beyond bears a close resemblance to the view in Hoare’s painting. 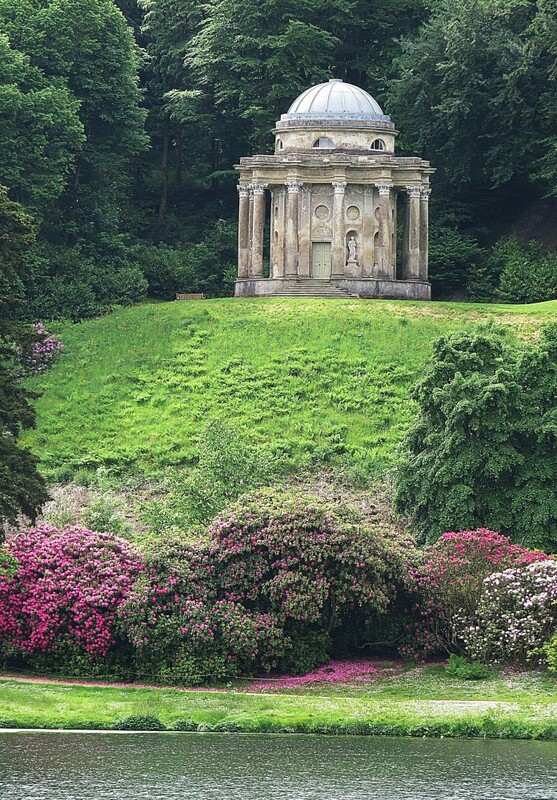 For several years I lived in Bath and went to Stourhead on numerous occasions and like many visitors was oblivious to the garden’s classical and allegorical narrative. 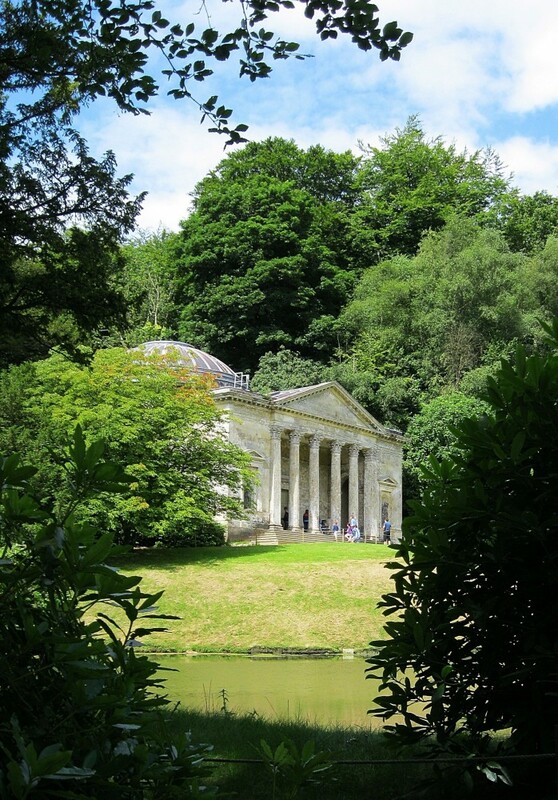 The well-read 18th century visitor would have understood the hidden symbolic meanings and it is no coincidence that Stourhead’s story was based on Aeneas. Hoare’s Lorrain painting was entitled ‘Coastal View of Pelos with Aeneas’ and for me this adds another layer of fascination to the garden. The story of Aeneas’s journey to Carthage, following the fall of Troy, and of his subsequent love affair with the Cathaginian queen Dido was a popular subject for 18th century plays and operas, and the garden narrative starts soon after he is summoned by Mercury to continue his journey and fulfil his destiny, abandoning Dido who curses him and commits suicide. At the start of the garden circuit, in the Temple of Flora, the Sybil warns Aeneas ‘begone, you who are uninitiated, begone!’ The visitor then descends on paths in an anti-clockwise route around the lake, recalling Aeneas’s descent into the underworld, finding Dido who turns away from him. 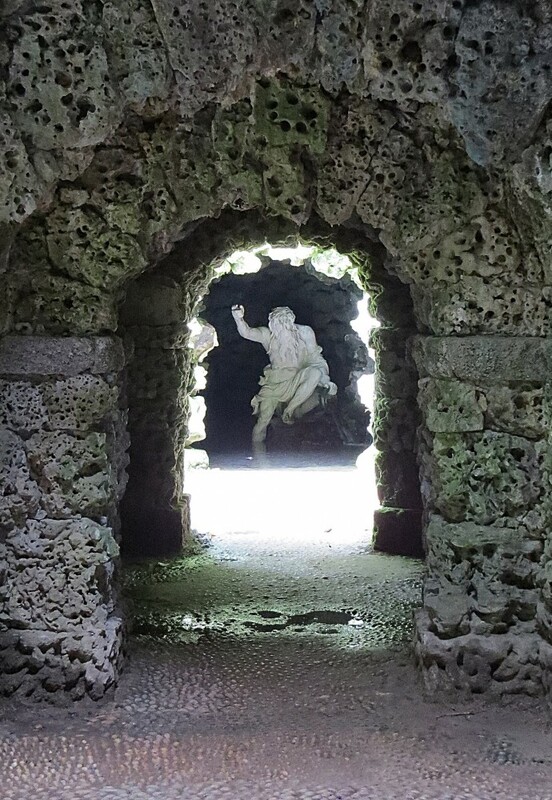 Continuing his journey he enters the Grotto, where the river god shows him the way out and he completes his heroic quest by founding Rome, symbolised by the Pantheon. 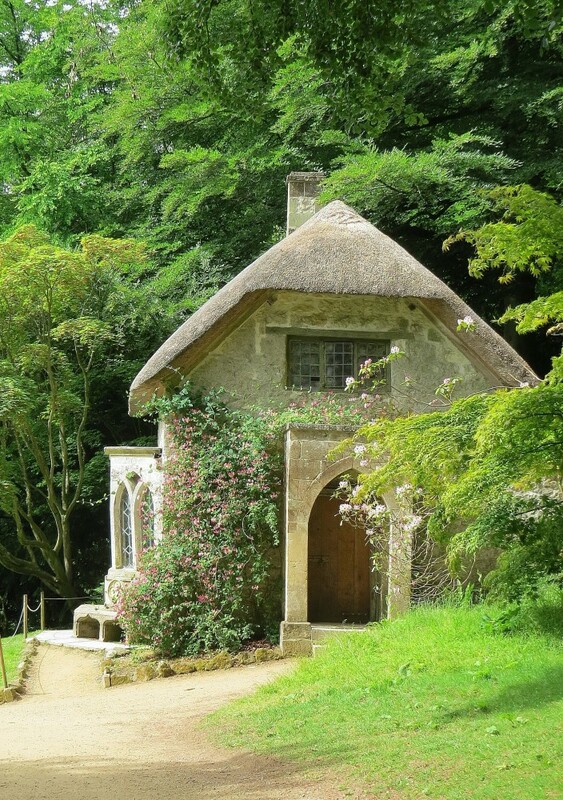 At Stourhead, as elsewhere, the garden buildings came first and the narrative was changed several times before the right fit was found, but I think that kind of this experimentation was also part of the process of creating a great garden. Garden style moves on and upon Henry Hoare’s death, the house garden and estate passed into the hands of his grandson Richard Colt Hoare. The Rococo nonsense of the Chinese bridge, Turkish Tent, and a Venetian seat were all thankfully swept away, the Gothic Bristol cross stripped of its gaudy colour, but the rather incongruous Gothic Cottage added to the composition, between the Grotto and Pantheon. The late 18th and early 19th century was also a time when plant collecting came to the fore, and Colt Hoare introduced many non-native specimen trees and rhododendron ground cover. This proved to be another successful innovation giving Stourhead good spring interest, more varied planting and strong autumn colour. I think that in this garden I would have found Henry Hoare’s ranged greens a bit dull. 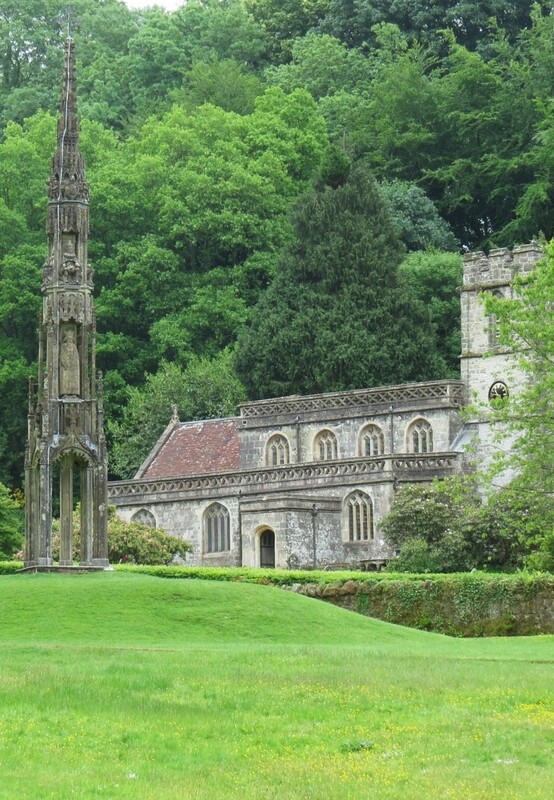 Following the recent restoration of the spectacular temples, the true magnificence of Henry Hoare’s achievement can be appreciated; and for me this is England’s most perfectly designed garden landscape. In Alexander Pope’s poem to Lord Burlington can be found the memorable phase ‘consult the genius of the place in all’. Nowhere is this a more appropriate sentiment than at Stourhead.